Does Coconut Oil for Hair Loss Actually Work? Read this. Does Coconut Oil for Hair Loss Work? First published September 22, 2017 , last updated April 8, 2019 . Reading time: 5 minutes. Coconut oil for hair loss is a well kept secret we’re here to tell you about! It offers many benefits to your hair, but how much does it prevent hair loss? What can it do for your hair and skin health? Let’s find out! Coconut oil has amazing benefits for your hair and overall skin, which make it a very versatile product. First, it is rich in lauric acid, protecting the hair against breakage and preventing protein loss. It is also antibacterial, thus keeping your scalp healthy and clean. It is also a source of vitamin E, vitamin K and iron, which boost hair growth. Massaging coconut oil into the scalp will improve blood circulation and make proteins to get to the follicles, ensuring your hair will grow thicker too. These properties make coconut oil a great natural alternative to chemical products who might promise the same. Click here to read our guide on alternatives to boars hair brushes! Besides, coconut oil works as a great cleanser for your face. Because of its texture and exfoliating nature, when in contact with the skin follicles, it will make the sebum come out. It cleans and hydrates the skin, acting as a moisturiser and protecting it against daily damaged caused by the sun and pollution. As we’ve seen above, there are many benefits of using coconut oil into your hair and skin. It will make your hair healthier, softer and stronger. Now, it’s important to know it will not make your hair grow in numbers. Think of it like this: if coconut oil can be applied in skin too, it would make your body hair grow. So, someone who would use it on their skin regularly would have a lot of more body hair after a while. Which does not happen, right!? But this does not mean that coconut oil isn’t as good for your hair as it would be if it would magically boost hair growth. Coconut oil will make your hair healthier after a few weeks of usage, and it might be the best natural moisturiser you will find out there. 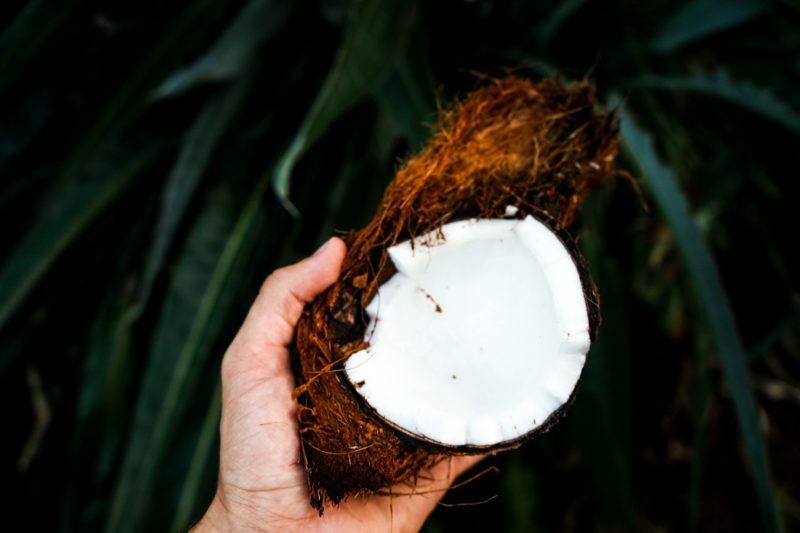 Looking at the properties of coconut oil, especially when applied to thinning hair, coconut oil will definitely improve the health of your scalp, and give your hair more density and volume. Coconut oil for hair loss works by preventing hair protein loss, breakage, and protecting negative against environmental factors. So, bottom line, it works against hair loss, but it does not miraculously make your hair grow more. Oil always works better on damp hair, since wet hair cannot absorb it. Apply a teaspoon of coconut oil on your hands and rub them against each other. Then, start by massaging the scalp of your head by rubbing your fingertips against the scalp. When you’ve covered the whole head, it’s time to focus on the hair. Work throughout your locks gently and let it sit for 30 minutes. After, rinse and shampoo well. Try doing this a few times a week and you’ll start to notice differences very soon. You can also apply a bit more of oil, wrap a towel around your head, and leave it overnight until your next wash. Rinse and shampoo generously and don’t forget to apply conditioner. We picked 3 coconut oils out there for you based on Amazon’s best sellers. When looking for coconut oil, you want to make sure you are buying organic and pure, 100% coconut oil, and not a cheap version of it. 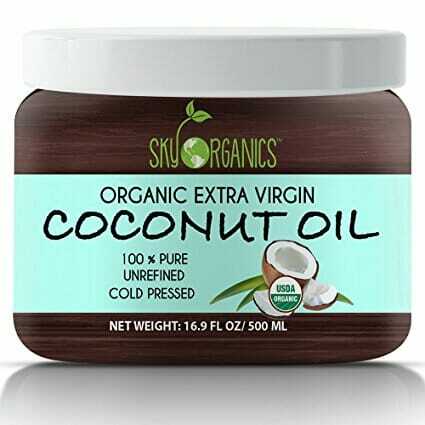 Secondly, we suggest that you look for unrefined and extra-virgin oils, if you want to use coconut oil for other means other than skin and hair care. In any case, both unrefined and refined oils offer similar levels of moisturising. Sustainably harvested from the volcanic regions of the Philippines, this oil promises to be the closest you can get to a farm-to-table coconut oil. 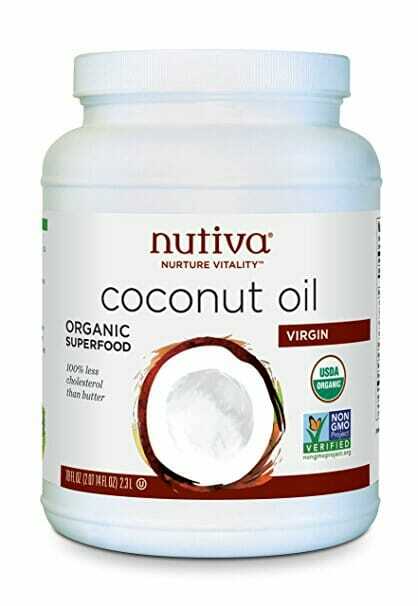 Nutiva’s Organic Virgin Coconut Oil is made from freshly picked coconut that are cold-pressed within hours of shelling. It’s organic NON-GMO verified. 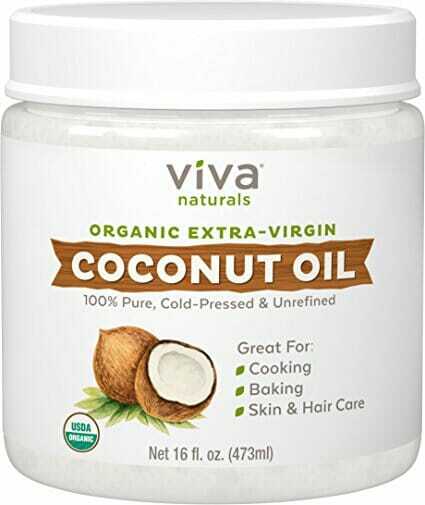 A very thick and creamy oil, perfect for hair, scalp and body. Versatile, efficient, and you’ll be supporting a small brand!